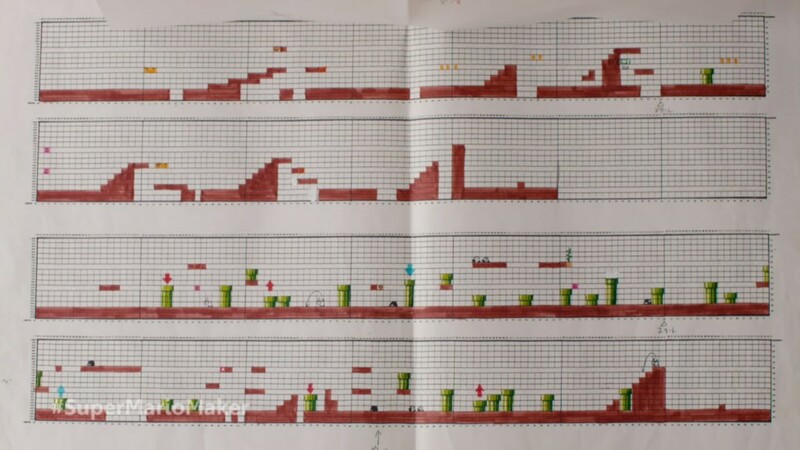 Drafts of Super Mario levels used to be done on graph paper. Though many were not too stoked about Nintendo highlighting this for E3, it is something that people should look forward to. During Nintendo’s Digital Event, Shigeru Miyamoto got in to the rich history of Mario and everything that it took to build the franchise to the level it is at today. 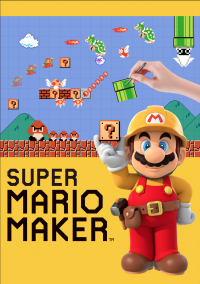 He went into the details of creating stages and the joy and excitement that process was and what better way then to be able to share that with us than with Super Mario Maker? 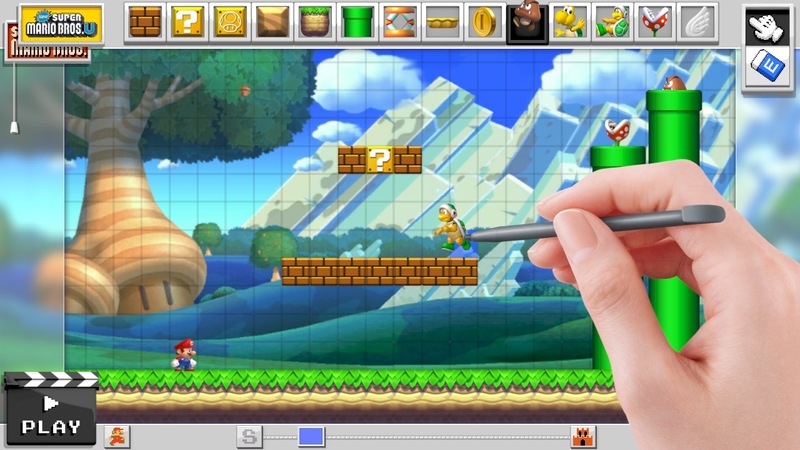 While the game is going to have a challenge mode that allows players to delve into different levels on the disc, the bulk of playing time was done on the true star of this game, the level editor and online community. When online, you can pick up the latest levels, featured levels, and the ones that you have favorited in the past all created by the fans for the fans. You can also filter out the maps by difficulty — based on percentage of people able to pass the level, so that you’re not stuck playing levels that are beyond your skill. In short, each level has a specific rating and also indicates how many other players beat that level. After trying each level, you’re given the option to favorite it or leave a comment or picture. All four levels featured in the final round of the Nintendo World Championships were made available to play and will also be made available to the public upon release. When playing, they didn’t seem to bad at first, but they quickly got more and more difficult due to each Mario game’s different gameplay mechanics. It was easy to make fun of Cosmo and John Numbers but it wasn’t funny anymore when I tried them myself. We’ve come a long way in 30 years. The editor is going to be the shining gem of this title. The background base of each stage will either be from Super Mario Bros., Super Mario Bros. 3, Super Mario World, or New Super Mario Bros U. This is the only style that cannot be tweaked throughout the stage. Everything else is fair game. Want to add a Wiggler (originally from Super Mario World) to your Super Mario Bros. 3 level? Not a problem. Most items you can add will fit the base level even if that game did not originally have that character. Want to create a massive enemy? Do it by stacking enemies on top of each other. What about a Lakitu that throws Bob-ombs ready to blow? As easy as dragging and dropping. Want to make jumping from platform to platform really precise? The editor has a trace mode that allows you to see the trajectory of your jump each time until you get it right. So yes, you can also create a Giant Bowser, put him in a Koopa Clown Car equipped with flamethrowers at the bottom, and have Hammer Bros. on top of Bowser’s head throw hammers. That’s totally possible in Super Mario Maker. For those worried about the community flooding impossible levels, each level must be passed in order to make it online. The ease of the editor is something that has not been seen in such an iconic series as Super Mario, and this is another reason why Nintendo continues to innovate and create not just games, but experiences. But what else will there be? This proves to be yet another perfect opportunity for Amiibo support. 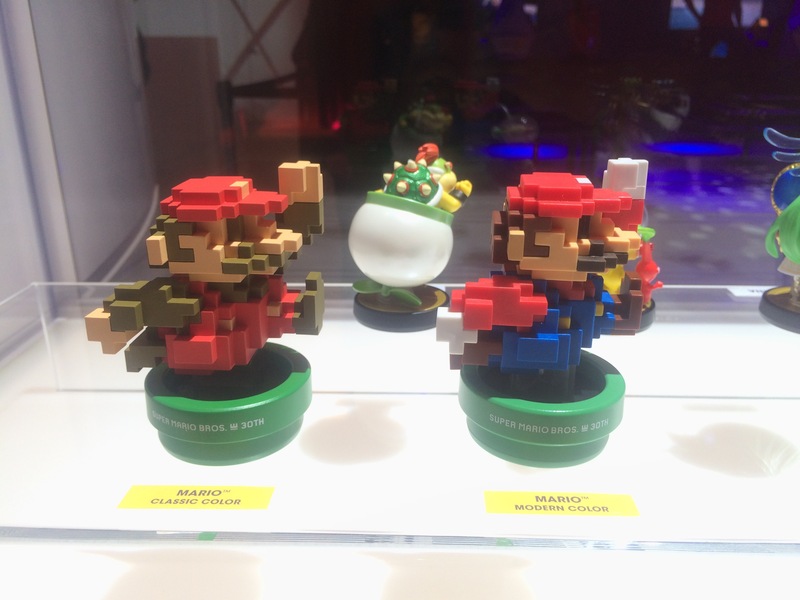 Currently the game will be able to support Link, Wii Fit Trainer, and Samus amiibo that allow the user to transform Mario into 8-bit models of those characters by getting a Mystery Mushroom. All you have to do is tap your amiibo onto the GamePad, and then drag the said character into a “?” Block. There will also be a special 8-bit Mario amiibo made specifically for this game that will give you access to the Mega Mushroom for even more zany, yet creative, possibilities. The game is available for preorder in different bundles that can come with the amiibo or a booklet that can offer assistance when the creativity just isn’t coming to you. At the retail price of $60, for the game alone, it may be difficult to justify, but after getting my hands on it, it’s going to be an easy purchase come September 11, 2015.